Our team at Tourist Shuttle Amsterdam is committed to providing you with the best service possible. Please do not hesitate to contact us for any information, enquiries or feedback regarding our services. Your feedback is important to us, we value your opinion. 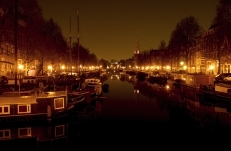 -Tourist Shuttle Amsterdam is not obliged to publish all the material it receives. -Tourist Shuttle Amsterdam will not make any commercial use of your contact details without your authorization.